Northwest National Real Estate: New Listing! Pintlar And Flint Creek Valley Views! New Listing! Pintlar And Flint Creek Valley Views! Elegant custom home with spectacular views of the Pintlar Mountains and surrounding Flint Creek Valley. 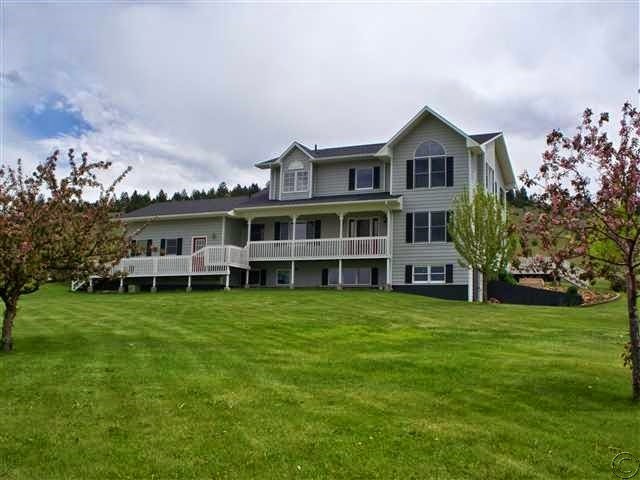 This 5 bedroom, 3.5 bath home has an open floor plan, with amazing views from every window. Home is move in ready and just updated to include granite counter tops in kitchen and master bath. The large master bath has a jet tub and large closets. The very spacious basement is a daylight walk-out and the yard is wonderfully landscaped with retaining walls and underground sprinkler system. All of this and over 4 acres of ground bordered by BLM. Home was set up to be a vacation rental and was rented often. Listed at $350,000.